ROCKY HILL - Paychex is a company that has more than 45 years of experience providing human resources and payroll services for large and small companies. Paychex serves businesses at the local, national and international levels. Its Rocky Hill location, at 714 Brook St., serves Hartford County. Because of its ability to interact with payroll, Paychex is the largest provider of 401(k) services in the United States. One of the services that makes Paychex stand out from other payroll services companies is that at Paychex, the team strives to educate the client on the Work Opportunity Tax Credit. According to Bo Brown, territory manager, any business owner is eligible for the credit at some capacity, but a lot of times they don’t know it, which is why it is important to educate them on the subject. “We are a big company but still give you that small-company approach,” Brown said. The customer service experience provided by the experts at Paychex and the desire to help gives clients the freedom to succeed, Brown added. Paychex can process payroll, track time and attendance, hire and terminate employees. The company is the number one No. 1 in the country to work with businesses with 300 employees or less. Paychex also manages employee benefits including retirement services, group health insurance, individual health insurance and financial wellness. In addition, the company provides solutions such as workers compensation, property insurance, business owner policy and commercial auto insurance. Furthermore, Paychex provides financial institution partnerships with hundredths of banks and credit unions across the country to help extend the value customers bring to their markets. The financial institution partnerships include an “easy-to-implement” referral program as well as reciprocal referrals. Solutions for office managers are also offered at Paychex. One of the features that can help cut down administrative work is paperless hiring and on-boarding which can help make new hires and administrative staff have a more positive experience. The support center of Paychex is available 24 hours a day, seven days a week, providing employers with the solutions they need. “No company is too small, no company is too big,” Brown said. For more information about the services offered by Paychex contact Brown at 860-655-8904. 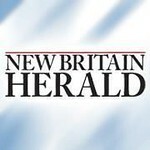 Posted in New Britain Herald, Business, on Tuesday, 20 November 2018 20:34. Updated: Tuesday, 20 November 2018 20:36.